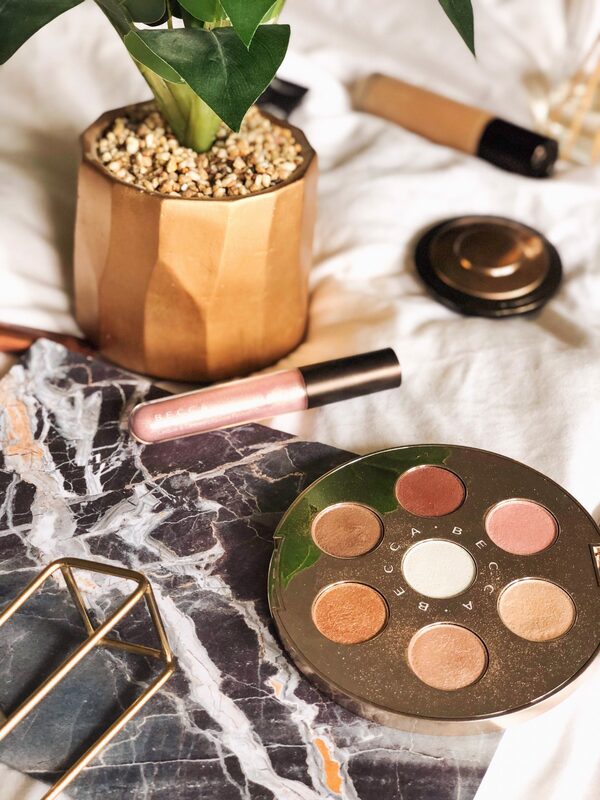 I tend to change my mind a lot when it comes to makeup and its trends – I could love something one week and be totally over it by the next – but one style that I could never stop loving is radiant makeup. As someone with dry skin I am all about looking as glowy as possible: I basically want to look like I’m sweating but in a glamorous way. Over the years I’ve tried quite a few different products to make my skin look as radiant as possible, and I think I’ve finally got it down. 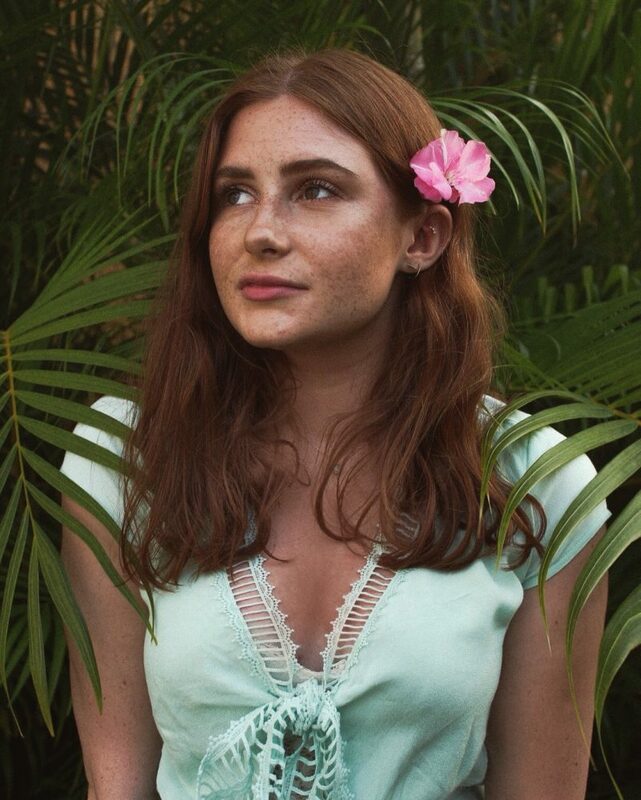 There’s no better time to try radiant, dewy makeup like spring/summer (although I wear it all year round), so here are the products I love to use to achieve that look! For primer I always use my trusty Backlight Priming Filter from BECCA. This gives me the most gorgeous glow whilst also making my makeup last all day. I’m almost through my first bottle after using it everyday for about half a year and I already have a backup – that’s how much I love this product. 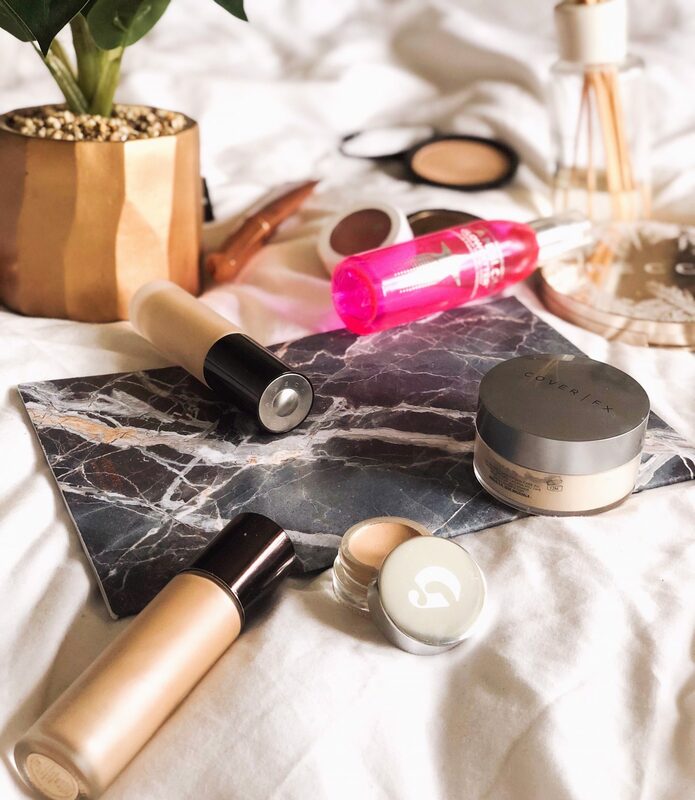 My foundation varies depending on season, how my skin is looking and what I’m feeling that day, but the one I reach for most often is the BECCA Aqua Luminous Perfecting Foundation (BECCA might be a running theme here). If you’re into medium-full coverage foundations then this definitely won’t be for you (I’d recommend the YSL Touche Éclat Le Teint Foundation instead) but if you just want something that’s going to even out skin tone and add luminosity then this is a great choice. 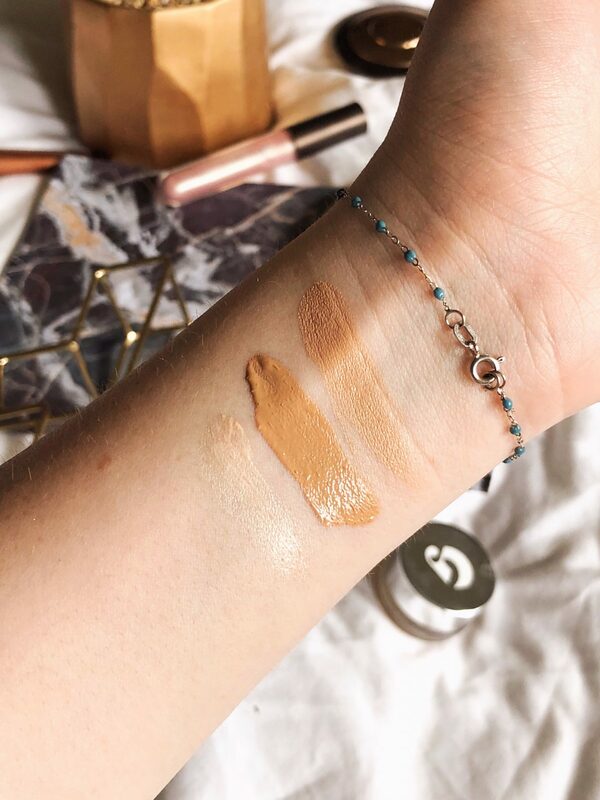 I bought mine in a darker shade so that it would match me with a tan, and it’s truly the perfect summer foundation. 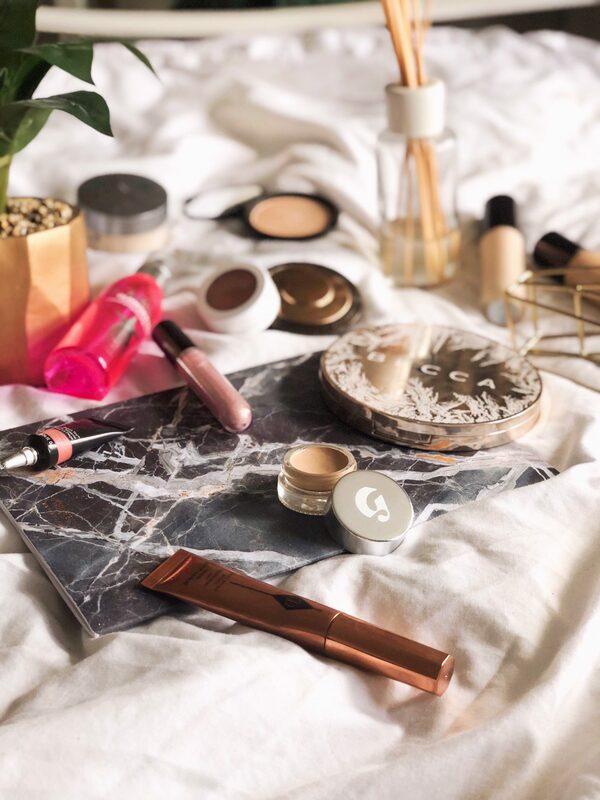 I go between concealers depending on how much makeup I’m wearing, but the two I reach for most when I’m doing makeup like this are the Glossier Stretch Concealer and the Charlotte Tilbury The Retoucher – although the one I’ve been using the most recently is Glossier’s. I really love its dewy finish that looks like actual skin, and it has the perfect amount of coverage without being too heavy. I tend not to use a lot of powder, usually just to set my under eyes, because of how dry my skin in. However, the Cover FX Perfect Loose Setting Powder doesn’t make my skin look dry or powdery at all, it sets the face beautifully whilst still keeping a little glow. It’s great for baking too because it has no flashback problems – it’s my absolute favourite powder. My last base product (although this would normally be the final step in my makeup routine) is the GLAMGLOW Glowsetter Setting Spray. I’ve almost gone through an entire bottle of this and I will absolutely be repurchasing – this melts every product into the skin and leaves me looking naturally dewy, I couldn’t live without it. I absolutely adore cream/gel blushes, and they’re so perfect for radiant makeup looks. 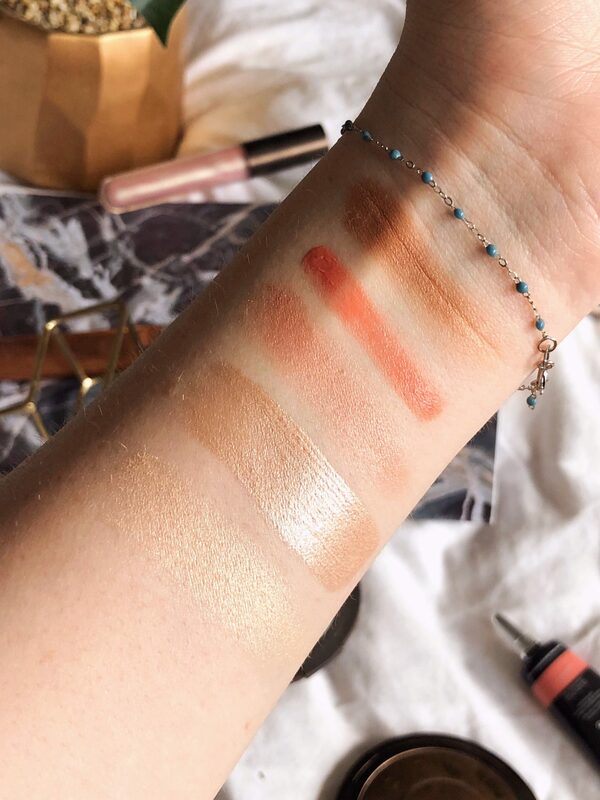 The BECCA Beach Tint is one of my absolute favourites, it has a slight sheen so it looks really natural and it lasts all day. It’s very pigmented so you only need a tiny amount, and because it’s so small it’s great for travelling. I have the shade ‘Grapefruit’ which is a gorgeous coral that’s perfect for summer. I also love the Colourpop Super Shock Highlighter in ‘On My Mind’ as a blush topper or on its own as a really glowy, peachy blush. Radiant bronzers are one of my favourite things, and I especially love the BECCA Sunlit Bronzer. It’s very pigmented but because it’s so radiant it’s quite hard to go too heavy, which is one of the things I love about it. It’s perfect for warming up the skin and making you look super sun-kissed. If you’re looking for something a little cheaper then the Rimmel Radiance Brick is a great alternative. I’m very picky when it comes to highlighters because I hate anything with glitter in it. I love using cream/liquid highlighters the most because they give such a natural sheen to the skin, and my favourite by far is the Charlotte Tilbury Hollywood Beauty Light Wand. It’s a very pretty champagne shade that has absolutely no glitter in it so it just makes you look naturally dewy and pretty – I’m obsessed. 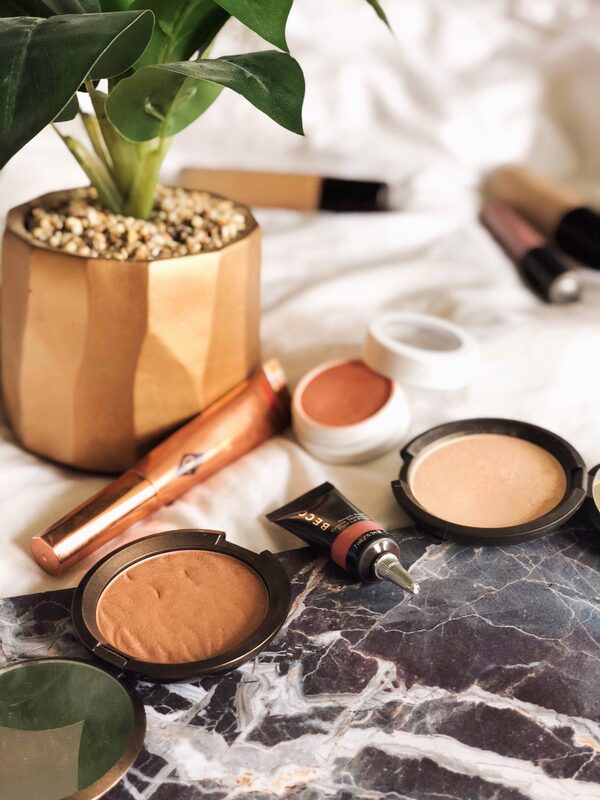 Another favourite of mine is the BECCA Shimmering Skin Perfector in ‘Moonstone’ – whilst it’s not a liquid it still adds that beautiful sheen to the skin without any glitter. It’s seriously one of my all-time favourite highlighters. Of course I had to include the BECCA Après Ski Palette in this post – it’s the perfect bronzey eyeshadow palette. 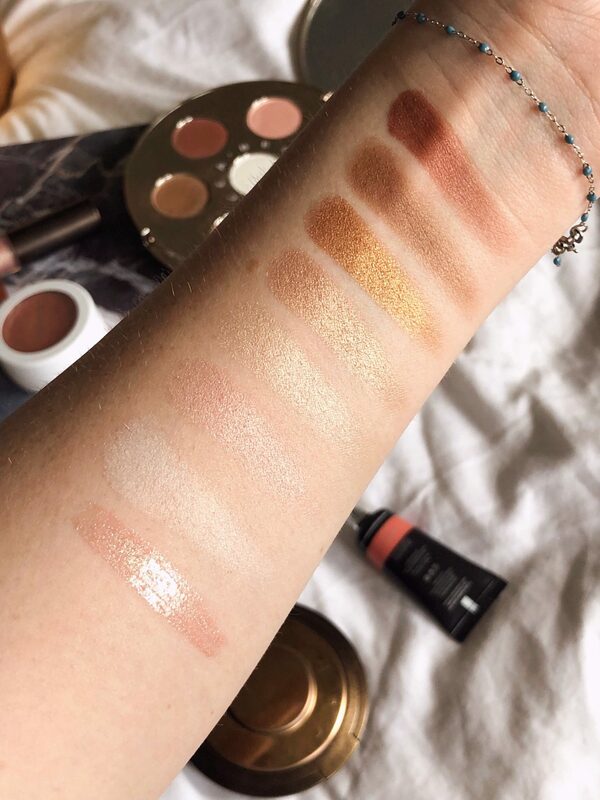 All of the shades are shimmers but some are more-so than others – I love putting the light bronze shade in my crease because it looks like more of a satin on the eye. I have nothing but good things to say about any of the BECCA eyeshadow palettes, they’re all amazingly pigmented and super glowy. For lips I tend to stick to something relatively simple, and this BECCA lip gloss is perfect for that. It’s a light pink shade that is quite sheer on the lips, but the iridescent glitter is what makes this gloss super special. It’s very sparkly but in kind of a glamorous way – does that make sense? It doesn’t look like a kids gloss is basically what I’m trying to say. It’s also one of the few glosses that I actually like the look of on my lips, and that’s saying something! So those are my favourite products for radiant makeup! I realise it was mostly BECCA products but they really do make some of the best glowy makeup products out there, so I’m not even sorry.